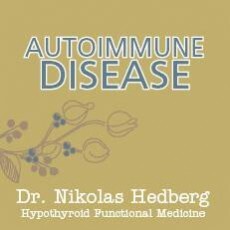 How to Heal Multiple Sclerosis with Dr. Terry Wahls - Dr. Nikolas Hedberg, D.C.
Dr. Hedberg: Well, welcome everyone to the Dr. Hedberg Show. This is Dr. Hedberg, and I’m very excited today to have Dr. Terry Wahls on the show. So, Dr. Wahls is a Clinical Professor of Medicine at the University of Iowa. 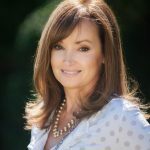 She’s the author of the book, “The Wahls Protocol: How I Beat Progressive MS Using Paleo Principles and Functional Medicine,” and also the cookbook, “The Wahls Protocol Cooking for Life: The Revolutionary Modern Paleo Plan to Treat All Chronic Autoimmune Conditions.” You can learn more about her work from her website. It’s terrywahls.com. That’s terrywahls.com. And she hosts “The Wahls Protocol Seminar” every August where anyone can learn how to implement the protocol with ease and success. And she’s on social media. You can find her on Facebook, Terry Wahls, M.D., Instagram, Dr. Terry Wahls, and on Twitter, @TerryWahls. And you can learn more about her MS clinical trials by reaching out to her team via this email, it’s msdietstudy@healthcare.uiowa.edu, and I will paste that link and e-mail on drhedberg.com in case you wanna contact her that way. So, Dr. Wahls, welcome to the show. Dr. Wahls: Hey. Thank you so much for having me. Dr. Hedberg: Great. So, just for the people out there who don’t really know your story, can you tell us a little bit about what you went through and your MS story? Dr. Wahls: Sure. So, I’m an academic internal medicine doc, very conventionally trained and conventionally practicing, being very skeptical of diets, supplements, complementary and alternative medicine. But God has a way of teaching us, so in 2000, I was diagnosed with relapsing-remitting multiple sclerosis on the basis of a history of dim vision 13 years earlier, and a new problem with my left leg. I had lesions in my spinal cord. So, I knew I wanted to see the best people in the country, take the newest drugs, and so I went to the Cleveland Clinic and saw their best people, took the newest drugs, and steadily declined. I’d had one relapse in the next year involving my right hand. And I continued to gradually decline. By 2003, I had declined enough that I now needed a tilt-recline wheelchair. I took Mitoxantrone. I adopted, yeah, actually the year earlier, the paleo diet after being a vegetarian for 20 years, but as I had already mentioned, I did continue to decline and was in the wheelchair, took Mitoxantrone, continued to decline, then took Tysabri, continued to decline, then was placed on CellCept. And at that point, in 2004, it’s quite clear to me that I’m likely to become bedridden, quite possibly demented, and quite possibly suffer from intractable pain related to poorly controlled trigeminal neuralgia. And so, I start reading the basic science again, and I began experimenting using a variety of supplements targeting my mitochondria. And what I discovered is that my fatigue is somewhat less, the speed of my decline is slowed, and I’m really immensely grateful because now my docs have told me I have secondary progressive MS, that there’s no more spontaneous recoveries, and so I’m grateful just to slow my decline. Now, the summer of ’07, I’m so weak I cannot sit up anymore. I have a zero gravity chair, where my knees are higher than my nose. A staff, resident clinic’s there. I work in the Institutional Review Board reviewing research protocols that way. And I have another chair at home. And it’s getting more and more difficult to function. My chief of staff tells me that he’s re-assigned me to the traumatic brain injury clinic come January, and I realized what he’s really doing is putting me in a circumstance where I’ll have to finally take medical retirement because that’s a job that I won’t be able to do. So, you know, things looked very bleak in the summer of 2007. But that summer, I discovered electrical stimulation of muscles, and I get my physical therapist to add that to my exercise program. And I discovered the Institute for Functional Medicine. And I take their course on nerve protection, which by the way is pretty tough in the midst of my brain fog. But I get through that. I have a longer list of supplements. And then in the fall of ’07, I had this really, you know, radical idea that, you know, I should be redesigning my paleo diet based on the supplements that I was taking to maximize those particular nutrients. And if I redid my diet that way, I’d probably pick up more supplemental nutrients that we haven’t even identified yet that are really going to be helpful for my brain. So, that’s more research. It takes a few months to get that figured out. And I remembered December 26th, I’m really starting this new way of eating. And so, the middle of January, I now go to the traumatic brain injury clinic. That first week, I’m just watching my colleagues, you know, run the clinic. Then the next week, so now I’ve had a month of my new eating plan, I’ve had a couple of months of the e-stim, and I discovered that actually I can do this task. I can, you know, drive my wheelchair to the clinic and stand up, examine folks, sit down, make their notes, and at the end of the week, I’m like, “Well, actually I could do that.” And I was quite surprised. The end of three months, I’m beginning to walk around the hospital with a cane, and at six months, I’m walking around the hospital without a cane. At nine months…you know, and I would say I’m still just taking each day at a time. I don’t really know what this means because I’ve fully accepted that progressive MS is progressive, that there’s no recovery that’s possible. And so, I’m not sure what this stuff means. And then at nine months, I get on my bike, and it’s the first time I’ve tried to do that in over six years, and I bike around the block. You know, my kids are crying, my wife is crying, I’m crying, and that’s when it’s very clear to me that the conventional understanding of progressive multiple sclerosis and probably relapsing-remitting multiple sclerosis is incomplete. And then at 12 months, I do a 20-mile bike ride with my family. So, this really changes how I’m thinking about disease and health. It changes how I’m practicing in my primary care clinics with the residents and then in traumatic brain injury clinic. And so, I am focusing more and more on diet and lifestyle. And of course, this will ultimately change the focus of my research as well. Dr. Hedberg: So, quite a story. Now, there had to have been a period where when you first got the diagnosis, were you…do you think that that was a traumatic experience for you getting that and experiencing it, and how did you deal with the trauma of finding out you had MS? Dr. Wahls: Well, you know, before I entered medical school, I was an athlete. I did some long distance running, and I was a black belt in taekwondo. In fact, I competed nationally in full contact sparring, getting a bronze medal in the national competition for the Pan-American trials. So, I always valued physical activity and athletic activity even during medical school and with my kids. We’re physically very, very active. And so, when I was diagnosed, that was difficult. And part of me was relieved, like, “Okay. I’m not being a slug after all. This explains why my workouts have been getting suddenly more difficult.” So, there’s a part of me that was relieved that way. And then being sort of the, you know, very ambitious individual, once I was diagnosed, I did what many physicians do. I started reading the scientific literature, and that’s when I saw that, you know, within 10 years of diagnosis, a third will need a wheelchair, walker or cane, and one half will be unable to work due to severe fatigue. And so, I was just getting more and more upset. My wife sat me down and said, “Terry, you got to stop reading the literature. And it’s just getting you upset. We’ll find the best people in the country. Let them take care of you.” You know, and actually, that’s part of how I, you know, started at the Cleveland Clinic and gave them all of my responsibility and let go of reading the literature. But then, as I was getting steadily worse despite seeing the best people, despite taking the newest drugs…and I’m having to reimagine myself first as no longer an athlete, then I was no longer able to do the activities of daily life and contribute to, you know, the various family responsibilities and having to reimagine like, you know, how am I gonna teach my kids resilience, and fortitude, perseverance? I thought I was gonna be doing that by teaching them athletics and wilderness travel, but that was no longer possible. And so, those were very challenging times because I had to keep reimagining who I was and how I could contribute to family life, how I could contribute to my children’s growth. Dr. Hedberg: Right. And this was a huge transition obviously with your conventional medical training, learning about functional medicine and nutrition and you’re doing that in your clinics now, have you…and you talked a little bit about this at IFM, can you tell everyone just kind of the pushback that you have from conventional medicine? Dr. Wahls: Sure, sure. So, my colleagues are just thrilled to see me suddenly walking around again. And so, they’re very excited. My chair of medicine is so impressed, and he is actually a rheumatologist. So, he gives me the job of getting a case report written, and I go like, “On myself?” And he said, “Yes, yes. This is so important. Work with your treating medical team and get it written up.” So, I salute, and we get that done. And of course, during that time period, I’m also, you know, changing how I practice, talking less and less about drugs, more and more about diet and lifestyle, and the next thing I know, my partners are complaining about me because I’m doing such bizarre things. So, my chief of staff at the VA calls me out and says, “Terry, what’s going on? People…I’m getting all these complaints.” So, I have a long conversation with him, and then I have to come back and bring him all the papers. And in the end, he becomes impressed with me and he tells the people who were complaining that, “Look, if Dr. Wahls…if anyone is harmed, she will go through a peer review just like everyone else and then we’ll deal with it. But right now, talking about vegetables, and exercise, and meditation is something we should all be doing.” So, he became supportive. Then, the next bump that I encountered was, you know, I’m teaching in the Public Sphere at the organic grocer, and that’s a very, very popular lecture. Then the local MS society chapter wants to hear me, you know, talk. And so, I’m interviewed by the Clinical Advisory Board, and they’re very concerned that I’m gonna create false hope, and so I’m banned as a speaker. So, now I have to go back and meet with the chair of medicine and the chief of staff who were very concerned that I’m a banned speaker, and so we have to explain all of that. And, you know, actually, it turned out to be a blessing for me because the chair of medicine at the university had me meet with the head of the Complementary and Alternative Medicine clinic and reviewed for me how to carefully document the medical record and in my public spaces that when I’m doing public education, it’s education and it’s not trying to diagnose, treat, cure or prevent any disease, and try to help people with their wellness and to improve their cellular physiology. In my clinics, then I was very careful to document that this is not an FDA-approved treatment, this is an alternative approach to improving your physiology and wellness, and that we’ll monitor for whatever effects it has on your health status. And so, actually, as I learned to talk a little more carefully in the medical record and publicly, that made my colleagues probably more comfortable. And then the other thing that helped was my chief of medicine gave me the job of doing a pilot study to show, could this be replicated in others? And once we get that going and I’m presenting that research at every year’s annual research week, and those results are coming in remarkably positive, then, you know, I gathered more and more respect because people realized that I’m trying to do real research, trying to investigate these issues. Dr. Hedberg: …into what kind of research you’re doing? Dr. Wahls: Oh sure. So, the very first thing that we did was, and this took me a while, to write out the protocol in a very structured way, what was the intervention that I used in terms of the food eating plan, the supplements, the stress-reducing plan, the exercise and the e-stim. So, we got that protocol written up. I got funding for that. Of course, that was not easy. But we got the funding and ran the first 10. We were able to show the…those 10 did well, then we were able to do the next 10. So, we got 20 folks through that, remarkably positive in terms of change on fatigue which is practically the most disabling problem for MS patients, so big improvement on fatigue, big improvement on quality of life. Half of our folks had clinically meaningful improvement in walking function which is remarkable with a progressive phase of the illness. You expect a 10% to 25% decline every year. So that half have clinically meaningful improvement is really quite stunning. Then, the next study that we did was a randomized weightless control. So, people come in and are randomized to either get instructed on just a study diet or they eat their usual diet, and then they come back in 12 weeks and we repeat the fatigue severity scale score. And again, we’re able to show that fatigue reduces in a clinically meaningful way and that motor function, both hand function and walking function, improves and quality of life improves. Then, the next study we did was to look at usual care versus my original diet, the Wahls’ diet, versus a ketogenic version of the Wahls’ diet. And we have, again, very exciting results there. Those results have been written up, and they’re under review, so I can’t really say more than that just that, you know, more exciting stuff. And then the National Multiple Sclerosis Society, and I think influenced by the fact that they monitor the social media content to know what their constituents are talking about, and after my book came out in 2014, there was really an explosion of conversation about diet, lifestyle, exercise, the Wahls’ protocol, Dr. Terry Wahls, and so that led the MS society to realizing they needed to make diet and lifestyle research and programming a much higher priority, so very exciting stuff. They put out a call for dietary intervention studies. We submitted a proposal and we’re in fact funded for a study. Again, it’s a dietary intervention study. We’re comparing the low saturated fat Swank diet to the Wahls diet. We’ll be recruiting through the month of April, potentially into May, and we’ll be analyzing the data finally in 2020. And so, at the end of 2020, early 2021, we’ll be able to have results that will be getting presented probably at some of the international meetings. We’re very, very excited about that. Dr. Hedberg: That’s fantastic. This will really be the first research out there looking at these various diets and interventions on MS, I would assume. Dr. Wahls: You know, it’s the first big randomized controlled trial. Swank had 144 patients he filed for 50 years, but they were not randomized, you don’t know what happened to the folks who dropped out. So, the strength of his study is he’s got a big number that he filed for a long time, the weakness is we don’t know what happened to the dropouts, and it’s not randomized. In my little studies, we’re all relatively small. So, this will be a huge, huge dietary study for everyone with MS and really for autoimmune issues because no one is doing randomized controlled dietary intervention studies in any other autoimmune issues either. Dr. Hedberg: …a genetic component, there’s usually some gut issues, infections like Epstein-Barr virus, toxins. Where are we with the latest research on the triggers and the causes of MS? Dr. Wahls: So, if we look at the research, the epidemiology is really quite clear. And so the science would say there’s 200 to maybe 300 genes that we have identified that increase your risk slightly. The vast majority of these genes would increase your risk, oh, half a percent, 1%, maybe 2%. So, the majority of folks with that gene don’t get MS. There are a few genes that are much more powerful and will really increase your risk maybe 10% to 20%. Always there is this complicated interaction between your genetic vulnerability and all of your environmental factors. So, we’ve known that for quite some time, and we’re just getting a little bit more clear as to which genes have a higher risk and which have a lower risk. Then, in terms of environmental factors, there’s more research coming out that toxic exposures increase your risk. So, solvents, mercury, heavy metals, if you’ve been exposed to those, that increases the probability that you have MS. We’ve also known that there’s a variety of infectious agents that appear to increase the probability. But again, not everyone who gets these infections, you know, develops multiple sclerosis, but, you know, and the fact that there are a wide variety of infections that can do this, Epstein-Barr virus, Chlamydophila, Lyme, and Herpes 6 virus being the most common. And then, there is more recognition that some of these biotoxins, I think, are related to some of the mold toxins, can increase inflammation and symptoms and may cause someone to develop neurologic symptoms and inflammatory lesions in the brain that appear to look like MS. There is also an observation that people have systemic autoimmune conditions, so inflammatory bowel disease, RA, systemic lupus. At the time of diagnosis of their systemic autoimmune condition, if you scanned their brains, they may have silent inflammatory lesions in their brains, but because their physical symptoms were first of their other autoimmune diagnosis, we make the diagnosis of inflammatory bowel disease, or rheumatoid arthritis, or lupus, and say they have CNS involvement. And so, there is likely considerable overlap in terms of the neuroinflammation that occurs whether the primary symptoms start first in the brain or physically elsewhere in the body. Oh, one more thing, and I should also add two more things. The increase in recognition that with MS, mitochondrial dysfunction is a big driver and likely mitochondrial dysfunction is key to development of neurodegeneration and shrinkage of the brain volume, brain atrophy, which leads to the fixed disability, and that inflammation levels systematically and in the brain are deeply connected to the microbiome gut dysbiosis, leaky gut, translocation of lipopolysaccharides or LPS. And so, you know, when I first talked about this stuff 10 years ago, my scientific colleagues, some of them were on top of this, many of the clinicians really thought I was very eccentric, very odd, and this was just crazy talk, but now there’s more and more recognition in the basic science and the clinicians are going to these basic science meanings that mitochondrial function is key, that leaky gut is a real thing, dysbiosis and microbiome is very important, and that the food we eat has a huge impact both on the microbiome and on gene expression. So, people are catching up to us. It’s very exciting to watch. Dr. Hedberg: Yeah. I’m just really glad that you said, you know, leaky gut is real thing because I get a lot of pushback on that as something that doesn’t exist. And the microbiome is just a very hot topic right now. And we know that it’s just such an intimate connection with the microbiome, and the immune system, and the brain. Is there anything you wanted to add there regarding the microbiome…? Dr. Hedberg: What’s coming out in the research? Dr. Wahls: Oh, this is like so exciting. You know, the first set of research that we did was we’re basically doing this census as well as we could at really a very crude level in terms of how we could characterize the bacteria. And as our science gets better and better, we can get closer and closer to identifying species and material. But of course…and that’s very important, lots of great insights. We know that we have a different community between healthy and disease folks. And this can be some regional differences whether you’re from Asia, or Africa, or the Americas, or Australia. And now we’re getting to the next level which is looking at the whole DNA or RNA of the microbes to get much more specific as to what species are aware. But our bacteria, our microbes swap genes all the time, and so even though you may know the species, it still doesn’t tell you necessarily how they’re impacting, how we can run the chemistry of life. We think that that information is probably much more closely linked to the microbial metabolites, that is, how these species are digesting our food, and digesting each other’s byproducts, and these small molecules that get into our bloodstream then head into our brain. That’s what really is driving or supporting a helpful biochemistry or harmful biochemistry. And so, now studies are looking at the microbial DNA, the microbes themselves, the microbial metabolites as well, and so, a much more detailed information. To analyze and understand all of that, we need to have a really sophisticated big data capability in terms of the stats, and this is where I think artificial intelligence will greatly speed our understanding. So, it’s a very exciting area. And, you know, as we get better and better at handling big, big data, our insights into the role of the microbiome will just continue to grow. Dr. Hedberg: …to the diets, or are there any differences? Dr. Wahls: You know, I really am very, very fond of the paleo diet. But I have to remind everyone that the paleo diet was not enough to recover me. In 2002 is when I adopted the paleo diet, and even the autoimmune protocol as envisioned by Loren Cordain. So, taken all grains, all legumes, all dairy, and had gone down that path and continued to decline. You know, I added vitamins and supplements, and I’d continued to decline. The paleo diet often focuses on what to remove, but doesn’t really focus on what to consume and how to maximize nutrition for your brain and mitochondria. And so, what I’ve done with the Wahls protocol is to, you know, use the basic science that I could access, and that was back in 2007 to redesign the paleo diet, still leaving out grains, legumes, dairy, and focusing on what to add, and that was much more important. And so, it’s much more vegetables. I limited the meat so I could get all the vegetables in that I wanted. I ramped up the greens, for the carotenoids, the vitamin K, the magnesiums, which is really powerful for your brains. Vitamin K1 and particularly from those greens, more and more research coming out how important that is for making myelin and how important it is for our retina, and of course, mineralization of your teeth and bones. Ramped up the cabbage, onion, mushroom family because that really improves your ability to detoxify and make intracellular glutathione and make some key neurotransmitters, gamma-Aminobutyric acid which is a key calming neurotransmitter that protects you from excitotoxicity. And then, the mushrooms, very good for boosting natural killer cells, boosting adaptive and innate immune cells, and also boosting nerve growth cell factors. And then the deeply pigmented, very high in polyphenols, we have many, many studies showing the benefits here for all cause of mortality, lower cancer risk, lower mental health issues, lower diabetes, obesity. But from my point of view, what’s really compelling about the color is that many studies showing that they are neuroprotective, that even in a relatively short time frame, 16 to 24 weeks, studies using…and these are randomized controlled studies using equivalent of one cup of blueberry powder resulted in measurable improvement in cognition. So, you might think of the Wahls diet as taking the paleo diet and then sort of combining that with the insights from the high vegetable intake because our ancestors would have had 200 different plant species in a year and would have been very low glycemic index. They episodically would have had meat, but not always, and it was when I dialed back the meat, dialed up the vegetables in a very specific way that I had this dramatic improvement in function and strength. And this is what I’ve observed in my clinics, both in my primary care clinic, the traumatic brain injury clinic and my own private clinic, which is much more focused on autoimmunity. Dr. Wahls: Yeah. So, we talk about…I want people to have liver once a week or twice a week, a heart, gizzards, tongue, kidneys, bone broth, we talk about fermented foods, I talk about seaweed, and I stressed variety, variety, variety. You know, I know many folks…I mean, and I really love the paleo diet, but I know many folks who interpret the paleo diet to be meat and occasional vegetables. That will create a different problem with elevated rates of mammalian target of rapamycin and higher risks for benign and cancerous tumors. And it still leaves you with a very high insulin level, a very high insulin-like growth factor level which can increase the risk for dementia and neurodegeneration. So, occasional bouts of a higher protein I think are good for us, but day in day out, high protein does have some health risks as well. Dr. Wahls: Oh absolutely. Yes. Dr. Hedberg: Do you think it’s mainly the microbiome or what do you think? Dr. Wahls: Well, you know, I think there will be a time when we can get our genes, our microbial genes and metabolites analyzed and get a report back that will tell me I will do the very best on a high fat ketogenic diet, I will do the best on a high monounsaturated fat, so lots of olive oil diet, I would do better on a low saturated fat higher carb diet. And so, there is considerable variation in our genes and my risk for food sensitivities. There is considerable variation in how we metabolize fat in our genes. And then, of course, this is further amplified by the variation in our microbial genes, which is part of, you know, why…I tell people that my message is a public health message, so they still have to work with their personal physician to monitor their response and the food plan that I talk about may have to be further modified based on their clinical response. Dr. Hedberg: Let’s just give a little love to the vegans and the vegetarians out there. Dr. Hedberg: Yeah. We’ve seen them in practice and sometimes it’s kind of clear that there are some issues there with B12, or iron, and protein, and sulfur-containing amino acids, and things like that, so how do you work with say an ethical vegan or vegetarian? Dr. Wahls: Absolutely. So, one of my research assistants in my clinical trial, my first trial is a vegetarian, actually a vegan because of her religious beliefs. And so, I certainly am not going to dispute or challenge her spiritual needs, but I did work with her to address her eating plan and to optimize that so she could maintain her spiritual beliefs and have great brain health. And that’s part of why when I wrote my book, I realized that I want to give guidance to vegetarians and vegans how they could still maintain their spiritual beliefs and further optimize their diet and gave guidance to the paleo folks how they could further optimize their diet. And then for the folks who have a lot of benefits for being in ketosis and depending on your medical issues, there may be a huge benefit for being in ketosis. I gave guidance to them, how they could approach ketosis and maximize nutrient density, reduce the risk of microbiome disruption and hormonal imbalance. And, of course, this meant, in some sense, you know, I really annoyed the paleo folks because I said, “Yes, you can be vegetarian and be healthy.” I really annoyed the ketogenic folks because I said, “Well, there are some potential hazards of ketosis, but here is how you would deal with that.” And I think anytime any of us have the feeling that your individual eating plan is the only one, the only way that people can be healthy, that person is wrong. We can have good health and we can ruin our health if we adhere to a particular eating doctrine, but do not pay attention to how it affects ourselves or our patients because we’re all unique and we may need to have that eating plan adjusted. And it is possible to do this as a vegetarian, a vegan, a ketogenic eater, a meat eater, and it’s also possible to wreck your health in each of those ways if you aren’t paying attention. Dr. Hedberg: Right. And one of the things that happens in practice when we’re working with people is we always want to be sure that the spouse is on board, the rest of the family because if they’re not, it can be very difficult, and sometimes a big change in diet can be very stressful to an individual. And if a diet is gonna create more stress, then it’s not a good diet, you know, no matter how good it is. So, what is your advice to the practitioners out there and the patients about really getting the rest of the family on board? Dr. Wahls: So, in my clinics at the VA and in my private practice, I have the patient and their family come in together so I can educate the patient and family about the rationale and the mechanisms by which diet and lifestyle. Then we have a conversation about their, excuse me, their spiritual beliefs, health issues, and develop a plan for a dietary approach that the family could agree to as a family. And sometimes, this might be that there’s no gluten or dairy in the house, and the individual might need to go on a more restrictive diet such as a ketogenic diet or an elimination diet on top of that, but they sort of work out what the ground rules as a family will be, and you do this as a family. What is very clear is the people who do one diet that’s different from the family have huge struggle. They’re much more likely to intermittently keep eating the foods that will be harmful to them and keep up their levels of inflammation, continue to have a lot of symptoms and struggle. But if they can do this as a family, if they have children, get the children involved to help you with menus, helping prepare the food, that often makes it much more acceptable as a family. And I do a lot of work with the resilience factors, what do they want their health for, why they want to go on this health journey. And we have a number of exercises that we do in our clinic, and then I take people through in this seminar because you got to grow the internal resilience. You have to grow the internal motivation to do this work because advice alone doesn’t create change. The change has to come from within the person and within the family, and so I’ve come to appreciate the motivational interviewing. Helping people with the resilience factors is some of the most important work that I do with patients. Dr. Hedberg: The last topic I wanted to discuss is chronic pain. And I’m bringing it up because conventional medicine has just completely failed with chronic pain, and we have the opioid crisis, it’s pain as…I think it’s still the number one reason why people go to the doctor. So, the Wahls protocol, it can help chronic pain. So, can you talk about how it does that? Dr. Wahls: Oh yeah. You know, when I set up the therapeutic lifestyle clinic at the VA, I wanted the pain clinic and the primary clinics and invited them to send us their people with the most troublesome pain issues that were the most difficult. I said, “We won’t be dealing with changing their meds. So, we’ll send them back to you for medication changes.” They need to know that we’re just gonna use diet and lifestyle, and people get sent to us with pain from a wide variety of causes: neuropathies, diabetic neuropathies, small fiber neuropathies, residual phantom pain after amputations, and of course from autoimmune issues, fibromyalgia, lupus, RA, and MS. And we’d put them on the diet, have them begin a stress-reducing practice and get a step counter. And very consistently, when people came back for their first follow up in four to six weeks, they would tell us this was the first time they were feeling hope because their pain was less severe. And because the VA has an electronic medical record, we were able to go back and take a look at what happened with these folks. Their need for and their use of narcotic medications steadily declined, and it’s very common, people were able to get off entirely all of their narcotics. And they also had less need for blood pressure meds and diabetic meds as well. How did this happen? I think the biggest drivers for pain have to do with inflammation, oxidative stress which increase the reactivity of the transmission of nervous impulses and lower the threshold of pain. So, by reducing the inflammation and reducing that oxidative stress, increasing the intercellular glutathione, increasing the intracranial gamma-aminobutyric acid was very, very helpful. Dr. Hedberg: Excellent. So, I mentioned the Wahls protocol seminar in the beginning and that takes place every August. Can you tell everyone a little bit more about that? Dr. Wahls: Sure. So, it’s basically three days. I do a lot of talking. I have some guest lecturers. We have a beginner’s track and advanced track. We practice skills in all of this. And so, for the public, this is a great way to get basically a group consult for functional medicine. We take you through your timeline of health issues. We take you through an interpretation of your symptoms, you know, which big organ systems are affected and help you identify which are likely the best interventions for you to focus on. And then we train you on the various levels of the Wahls diet. We train you on strategies to grow your internal motivation and resilience factors. And we’ll train you on detoxification strategies, on stress reduction strategies. Like this year, we’re gonna have big focus on exercise and movement. We’re going to be dancing and singing together, and we’ll have some primal play as well. So, that will be very exciting. And the advanced track, and I will be talking more about the microbiome, about more of the latest research on what’s going on in the MS and autoimmune world and more on neurodegeneration and on mood disorders. I’ll be talking more about cognitive issues and cognitive rehab. We have a mixture of public life folks and some health clinicians who are coming and will stay additional time for additional training to get certified as Wahls protocol health professionals. I anticipate we’ll have over 300 people here this year and because that’s all that my hotel can hold, we do have a virtual ticket as well so that people can get access to the recorded videos from the event. But that would be…so, all those details are on my website. 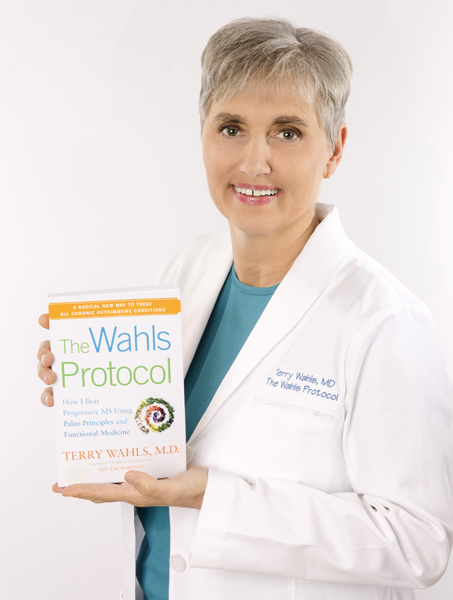 We certainly have had many folks who are health professionals who’ve had to quit their professions because of their health challenges, discovered the Wahls protocol, began to get their health back, and are now reimagining their professional role using the Wahls protocol either in dentistry or as health coaches or, you know, in their chiropractic area. And they’re so excited to be a part of this transforming community. Dr. Wahls: And actually, we’ve changed the dates. It’s in July, July 24th through 27th this year. We had to move into July. Dr. Hedberg: Okay. So, the book is “The Wahls Protocol,” and then there’s “The Wahls Protocol Cookbook,” and is there anything else you’d like to mention to the listeners about where to find you online, anything else? Dr. Wahls: Sure. You know, there are a couple more of great resources for the listeners. In particular, we have a one-page diet handout that summarizes the key parts of the diet. That’s a great thing to put in your refrigerator. If you go to Wahls protocol…pardon me, terrywahls.com/diet, you can pick all of that up. And that’s really very nice. Dr. Hedberg: Oh excellent, excellent. And so, your website is terrywahls.com, and then Terry Wahls on Facebook, Dr. Terry Wahls on Twitter, and excellent. All right. Well, thanks for coming on, Dr. Wahls. I really appreciate this. I’m sure the listeners do as well. And I’ll be posting a full transcript of this on drhedberg.com with links to everything we talked about today. So, thank you again, Dr. Wahls. I appreciate it. Dr. Wahls: This is excellent. Thank you so much. Dr. Hedberg: All right. Well, take care, everyone. Thanks for tuning in. And I will talk to you next time. Take care.